Mark Montgomery, a national college admissions expert, offers his advice on how to avoid the pitfalls and pain of applying to college. Dr. Montgomery earned his BA at Dartmouth College and his Masters and Doctorate at Tufts University. He has been an instructor at Harvard and a consultant at Yale. He specializes in demystifying the ways in which colleges recruit and admit students. His views and advice have appeared in US News & World Report, Money, USA Today, Forbes, The Apple Daily (Hong Kong), The Huffington Post, The Chronicle of Higher Education, and The Denver Post. He also writes a popular blog on university admission at GreatCollegeAdvice.com. Montgomery Educational Consulting is a full service educational firm that assists students and their families as they select and apply to the best and most appropriate universities. With offices in New Jersey, Hong Kong, Oregon, and Colorado, Mark works one-on-one with students to guide them in their choices in secondary school, to articulate which educational environments lead to academic success, and identify how personal and family needs, preferences, and ambitions can be combined to help them pick the right universities—and get in. The Guidance Department will host a breakfast called “College Topics for Senior Parents” on 10/25/17. The purpose of this breakfast is so the counseling staff can give a very brief overview of important tasks associated with the college selection and application process. This event is geared for parents that missed the Senior College Planning Night on 9/28/17. Please join us for this informative event on October 25th at 8:30 AM in the BHS Guidance College and Career Center. Parent's MUST RSVP by calling 781-270-1780. Financial Aid Night for Senior parents was well attended with roughly 50 parents. Many aspects of the financial aid process were covered by Amy Staffier from Harvard University. We encourage parents to get familiar with the MEFA web-site. MEFA provides a wealth of free, accurate and up to date information. Amy encouraged parents to try the MEFA tools page, which has a number of tools you can use such at the EFC Calculator. The EFC calculator can estimate the figure that colleges will use to determine eligibility. Please remember that the BHS will be a host site for FAFSA Day on Sunday January 28th beginning at 1PM. Parents MUST register for this event in advance. FAFSA Day is a volunteer driven effort which allows parents to get free assistance on how to complete the FAFSA form. The BHS Guidance Department strongly recommends that senior parents attend a presentation on Thursday, October 12th, 2017 beginning at 6:00 PM in the BHS Auditorium. 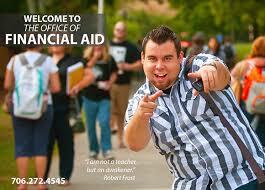 MEFA will host and give an overview of the financial aid process, specifically in regard to completing the FAFSA. The FAFSA is an on-line form that must be completed for seniors to be eligible for state and federal loans and grants (https://fafsa.gov/). This form is NOW available. Burlington High School students can take either a free practice SAT or PSAT test at BHS on Saturday 9/16 beginning at 9AM. In order to take either of these free tests students MUST register (registration information below). Juniors and sophomores will take the collegeboard sponsored PSAT on 10/11 The test on 10/11 is a full scale PSAT, and If students score high enough they can potentially qualify for national merit. So for students in grades 10 and 11, the practice PSAT gives them a chance to prepare for the upcoming PSAT at BHS on 10/11. The PSAT on 10/11 is NOT free for juniors, but is free for sophomores. For either practice test on 9/16 it gives students a chance to practice under test conditions which hopefully reduces test day stress. Once again KAPLAN will be offering an SAT Prep course at BHS this fall. The fall prep course offered are designed for seniors only. Click here for the schedule. Seniors should call 1-800-KAP-TEST to enroll. As a reminder BHS will offer the PSAT/NMSQT exam on Wednesday, October 11, 2017 for all sophomores and registered juniors. Seniors that want one more chance to take a free practice test OR a senior that has NEVER taken an SAT exam should strongly consider registering for this free opportunity. The SAT exam will be offered at BHS on 10/7, 11/4 and 12/2.